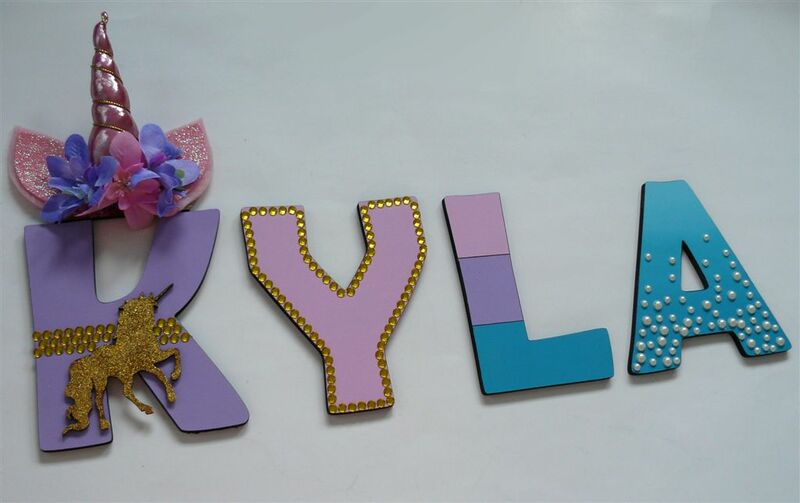 The letter can be painted in any colour. 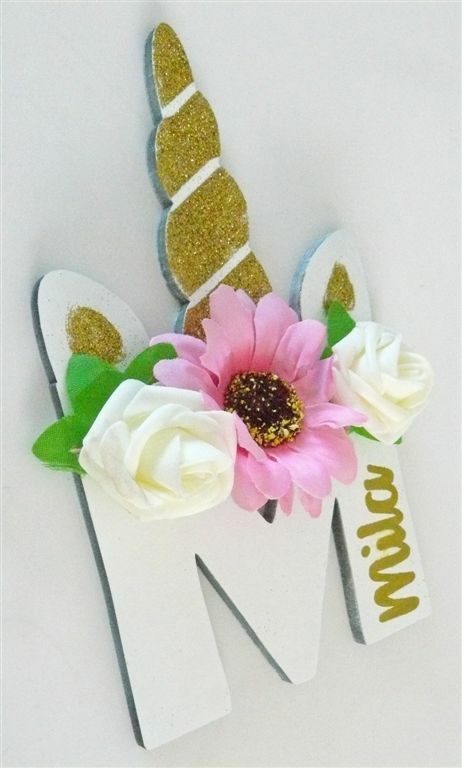 The client chose white and her name is written in gold at the bottom. Her unicorn horn has glitter on and a halo of flowers.